Development Address: Main Street, Rathkeale, Co. Limerick. Development Address: Mountshannon Road, Lisnagry, Co. Limerick. Development Address: Moanleana, Newcastle West, Co. Limerick. Development Address: Killinane, Galbally, Co. Limerick. Development Address: Boru House Mews Building, Boru House, Mulgrave St., Limerick. Development Address: Killonan Lodge, Ballysimon, Tipperary Road, Co. Limerick. Development Address: Skehacreggaun, Mungret, Co. Limerick. Development Address: Knocknasnaa, Abbeyfeale, Co. Limerick. Development Address: Baggotstown East, Bruff, Co. Limerick. Development Address: Dromagarraun, Ballyhahill, Co. Limerick. Applicant: Board of Management Ballysteen N.S. Development Address: Ballysteen N.S., Ballysteen, Co. Limerick. Development Address: 20 Strandville Gardens, O'Callaghan Strand, Limerick. Development Address: Farnane, Murroe, Co. Limerick. Development Address: Lisreidy, Loghill, Co. Limerick. Development Address: Ballylin, Croagh, Co. Limerick. Development Address: Cloughilawareela, Pallasgreen, Co. Limerick. Development Address: 9 Lonsdale Road, National Technology Park, Plassey, Limerick. Development Address: Redhill School, Cloughkeating, Patrickswell, Co. Limerick. Development Address: Vue Cinema, Ennis Road Retail Park, Limerick. Development Address: Newtown, Crecora, Co. Limerick. Development Address: Dromlohan, Kilcornan, Co. Limerick. Development Address: 26 Woodfield Drive, Newcastle West, Co. Limerick. Development Address: Tulligoline South, Templeglantine, Co. Limerick. Development Address: Coolnahila, Lisnagry, Co. Limerick. Development Address: Buffanoky, Cappamore, Co. Limerick. Development Address: Ballybrood, Caherconlish, Co. Limerick. 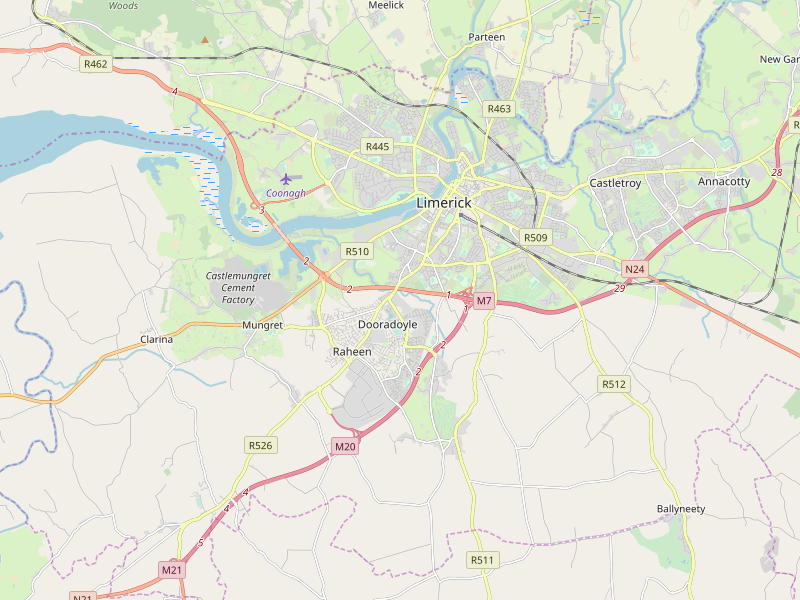 Development Address: Bohereen, Donoughmore, Limerick. Development Address: Gardenfield South, Dromcollogher, Co. Limerick. Development Address: Ashfort, Crecora, Co. Limerick. Development Address: Greenhills, Crecora, Co. Limerick. Development Address: Rockfield, Crecora, Co. Limerick.